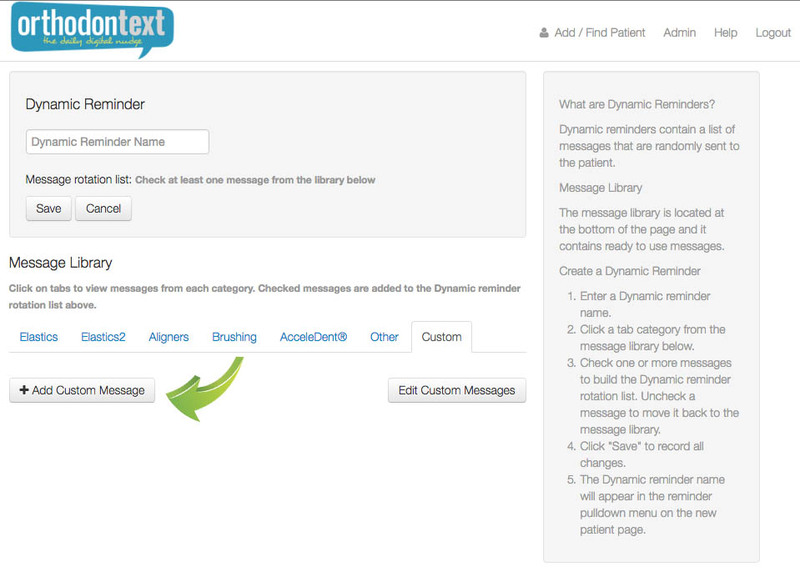 Dynamic Messages randomly rotate through a list of selected or customized messages. They can be used to inspire, reinforce good braces care and even add humor. 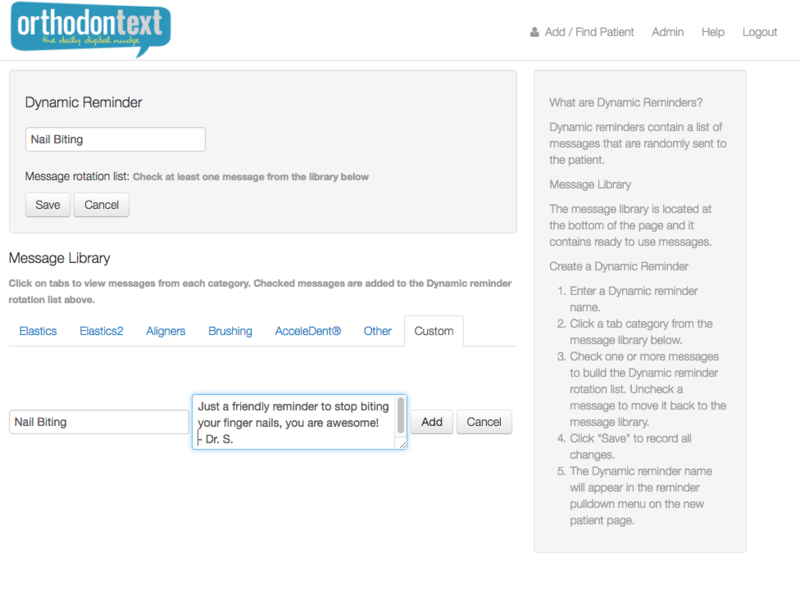 Orthodontext provides a large message library to get started in minutes! Step 1. 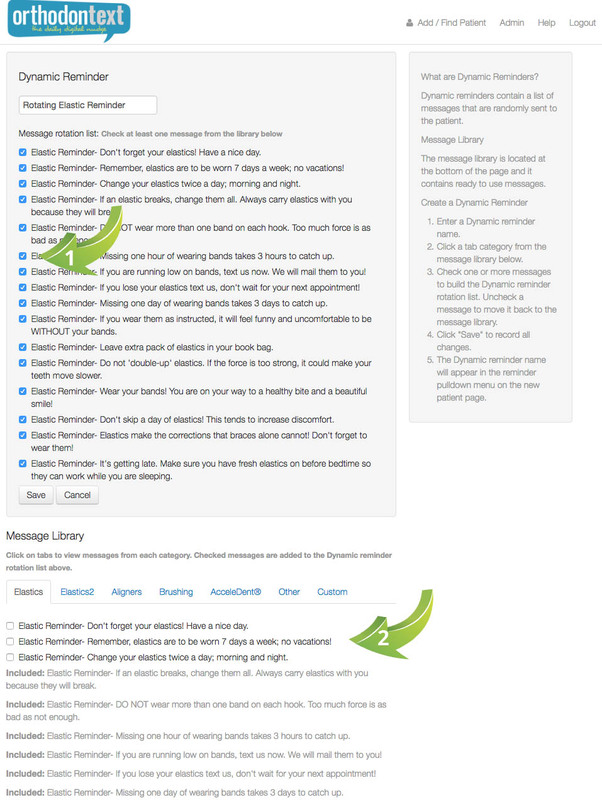 Login into Orthodontext and click on “Admin” on the top right, click "Reminders" and click on the reminder you would like to edit. Step 2. 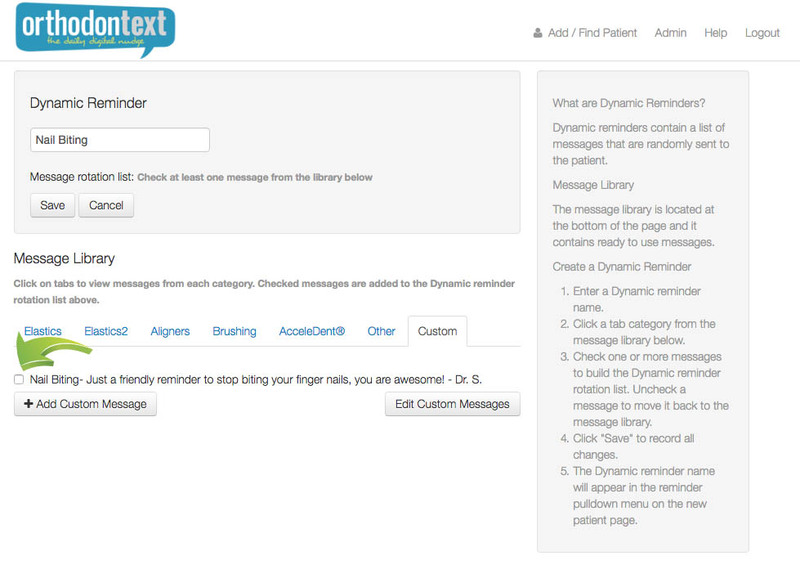 The messages at the top are the reminders the patient will receive. 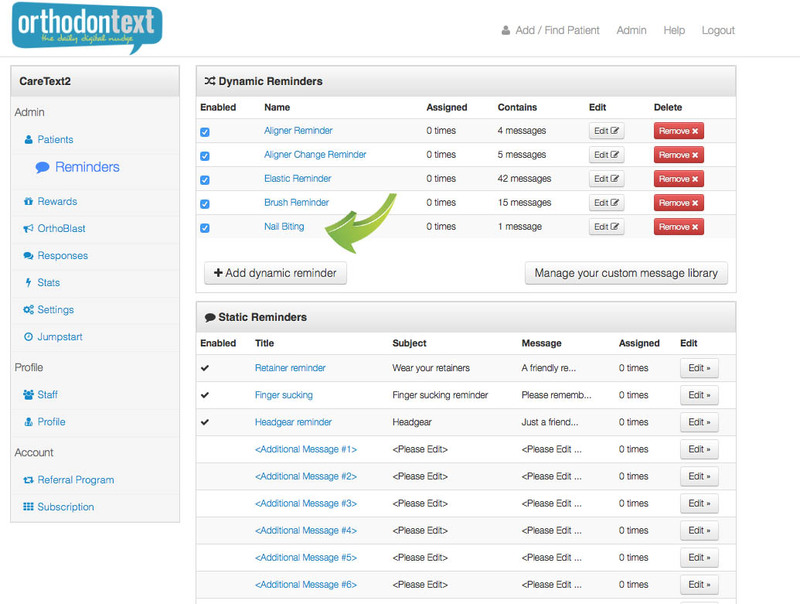 The messages in the "Message Library" are the reminders that you can choose from, to include in the rotation. If you would like to remove a reminder from the rotation, simply click the check box and it will go into the library unchecked. To include a message in the rotation, check the box in the library and it will go back into the rotation. 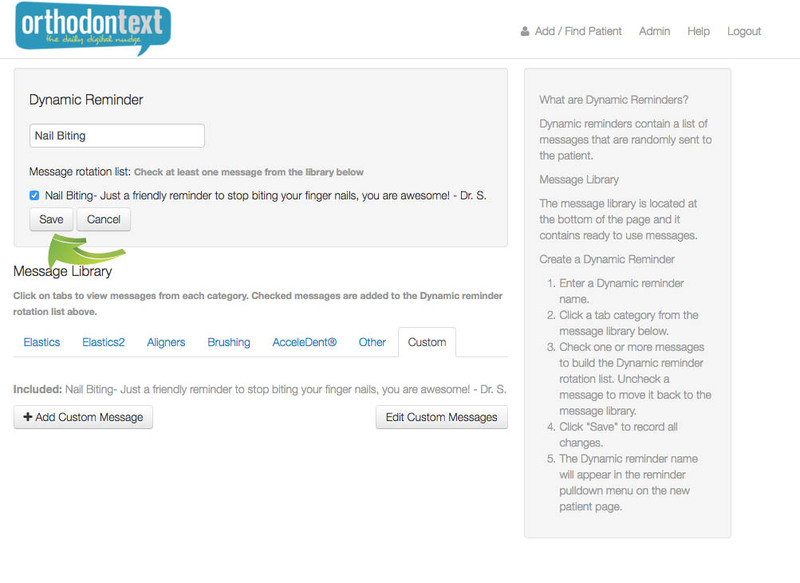 Step 3: Create custom dynamic reminders. 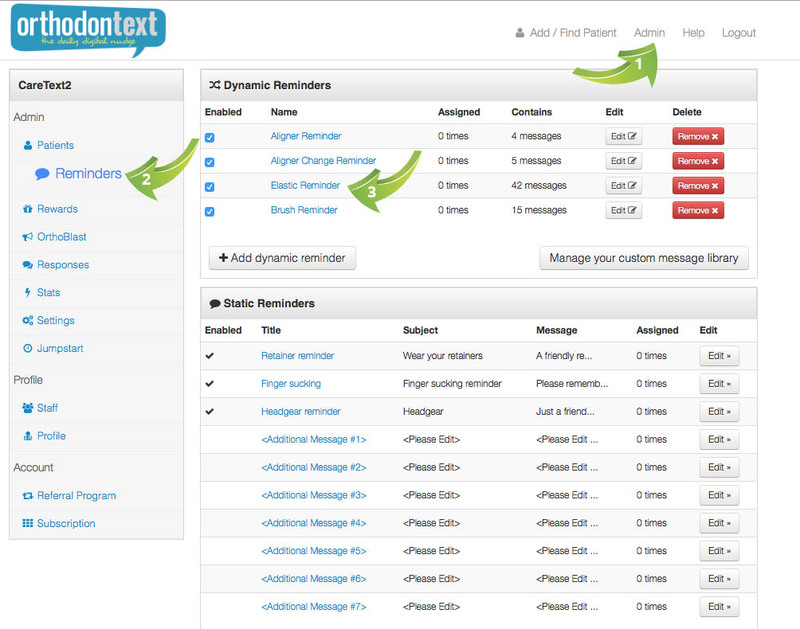 Click on "Add dynamic reminder" and follow the diagrams below. 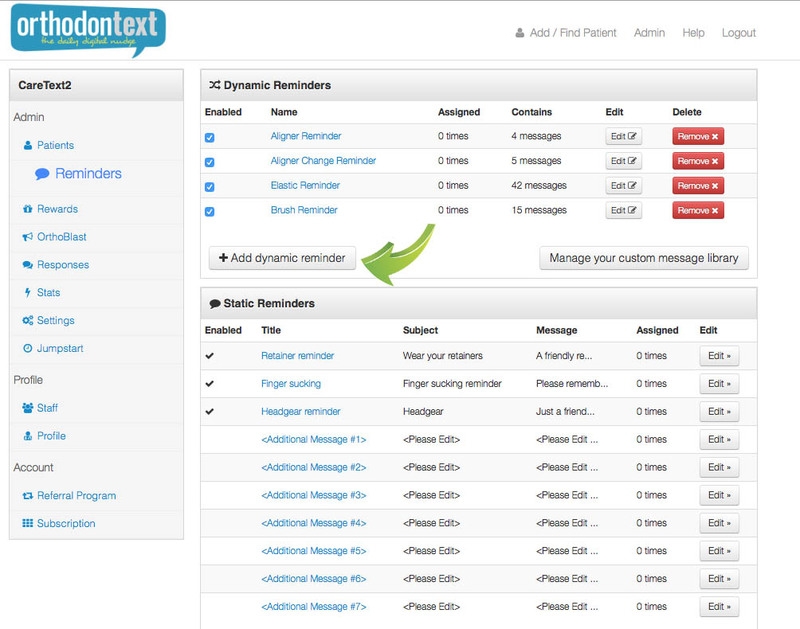 Once you click save, it will show up in your list of Dynamic Reminder. You can change the order of how the reminders appear in your drop down list, but dragging them to the position you would like.